In today's episode Nate and Austin compare Quentin Tarantino's best and worst rated films, Pulp Fiction (1994) and Death Proof (2007), respectively. Nate gets a weird feeling in his pants every time Tarantino is on screen, Austin cried during Marley & Me, and special guest Michael Denniston names Click as his favorite movie of all time. Check back next Sunday at 7pm PST where we will compare Spike Jonze's Her (2013) and Where the Wild Things Are (2009), his best and worst rated films. Be sure to follow Michael's podcast War Machine vs. War Horse on twitter @warmachinehorse and check out his podcast on iTunes, Stitcher, or followingfilms.com. PLOT: Two separate sets of voluptuous women are stalked at different times by a scarred stuntman who uses his "death proof" cars to execute his murderous plans. 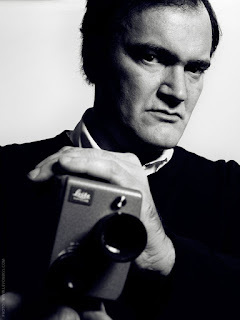 Quentin Tarantino stated he came up with the idea of "Death Proof" when he was talking to a friend about buying a car. Tarantino wanted to buy a Volvo because he "didn't want to die in some auto accident like the one in Pulp Fiction". In regards to the safety of the car, his friend had said, "Well, you could take any car and give it to a stunt team, and for $10,000 or $15,000, they can death-proof it for you." The "death proof" phrase had stuck to Tarantino after that. The only Quentin Tarantino movie that takes place completely in chronological order and without flash-backs. Quentin Tarantino admitted later in an interview that he believed he "over-tweaked" Death Proof, but was still very proud of it.